All times are to be considered approximate, with actual progression based upon clinical presentation. Patients are full weight bearing with the use of crutches, a walker or a cane to assist walking until they are able to demonstrate good walking mechanics. Early emphasis is on achieving full extension equal to the opposite leg as soon as able. No passive or active flexion range of motion greater than 90 degrees for the first two weeks to avoid stress on sutures/stitches. No two-legged biking or flexion exercises for at least two weeks. Well-leg biking is okay. Regular manual treatment should be conducted to the patella and all incisions so they remain mobile. Early exercises should focus on recruitment of the quadriceps. Icing, elevation, and aggressive edema control (i.e. circumferential massage, compressive wraps) for 15 minutes every 2 hours. Soft tissue mobilization to the surrounding and posterior musculature, and to the patella to avoid flexion or patella contracture. Focus on extension for knee range of motion. Straight leg raise exercises (standing and seated), passive and active range of motion exercises. 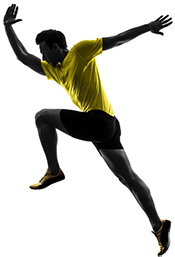 Initiate quadriceps gluteal sets, gait training, balance/proprioception exercises. Well leg cycling and upper body conditioning. Continue soft tissue mobilizations, decrease edema/pain. Continue with home program, progress flexion range of motion, gait training, soft tissue treatments, and Balance /proprioception exercises. Incorporate functional exercises as able (i.e. seated/standing marching, hamstring carpet drags, hip/gluteal exercises, and core stabilization exercises). Aerobic exercise as tolerated (i.e. bilateral stationary cycling as able, upper body ergometer). M.D. visit at 4 weeks post-op. Continue soft tissue mobilizations, decrease edema/pain. Joint mobilizations for range of motion as needed. Increase the intensity of functional exercises (i.e. progress to walking outside, introducing weight machines as able). Continue balance/proprioception exercises (i.e. heel-to-toe walking, assisted single leg balance). Add lateral training exercises (i.e. lateral steps, lateral step-ups, step overs) as able. Incorporate single leg exercises as able (eccentric focus early on). Completion of Sports Test I at 12 weeks. Begin to incorporate activity specific training (i.e. household chores, gardening, sporting activities). Low impact activities until week 12. No twisting, pivoting until after week 12. Patients should be weaned into a home/gym program with emphasis on their particular activity/sport.